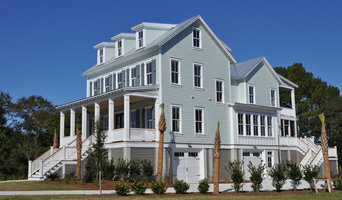 Award-Winning Custom Home Builder in Charleston, South Carolina. Specializing in Homes of Exceptional Value, Uniquely Yours. “We really pour our heart and soul into what we do. There are only so many ways you can be different in homebuilding. For us, being truly present – always onsite, fully engaged, unfailingly available – is the best way to set us apart.” – Richard Jackson, JacksonBuilt Owner and President, Member of Charleston Home Builders Association Board of Directors Our goal is to guide your vision of how you’d really like your home to live and make the process remarkably enjoyable. Our approach is straightforward, honest, and down-to-earth. With over 16 years of homebuilding experience and a full-time professional designer, the JacksonBuilt team helps clients navigate wish lists and budgets with incomparable care. By getting to the heart of the way a homeowner lives – from practical logistics to domestic and social habits – JacksonBuilt aims to create the kind of home where every room is truly loved and really lived in. Welcome to Arnett Construction. We are Charleston, South Carolina & the surrounding areas' premier residential & commercially licensed general contractor specializing in custom homes, renovations & additions. The qualities which drive us are quality, value, integrity & exceptional customer service and will work harder than the next man to find the best possible solutions for our clients based on their wants & needs. We stick to our word & deliver your dream project on time & on budget. Our exceptional and unparalleled reputation as well as a long list of satisfied clients attest to our craftsmanship, attention to detail, & clear lines of communication with our clients to make sure they are getting exactly what they want. Our Philosophy: It’s simple. We aim to please. – Our most valuable asset is our reputation & that starts with treating others exceptionally well as we like to be treated. At Arnett Construction, we make sure that our clients are completely satisfied with the job we were contracted to carry out. We get it right the first time. – Never one to belittle competitor contractors, unfortunately there are are many unlicensed contractors in the market of which we have seen first hand an increase in shoddy workmanship as well as the use of cheap materials. We have, in many instances, come in behind other contractors to fix their mistakes to the request of a client. We promise to do it do it right the first time. Our company is based on the belief that our customers’ needs are of the utmost importance & our team is committed to meeting & exceeding those needs. As a result, a high percentage of our business is from repeat customers & referrals. We would love the opportunity to earn your trust & deliver to you the best service possible. Our mission at Structures is to give you the most enjoyable and simplified home building experience around. We ask the right questions, and then we listen. We want to hear your dreams and your fears about building a custom home. Once we understand your needs, we can tailor a home that precisely fits your lifestyle, dreams, and budget. The result is a custom home that combines innovation and high performance with quality design and craftsmanship - and most importantly, is a perfect fit for you and your family. We’re obsessed with achieving exceptional customer service and creating lifelong relationships with our clients. Our experience is that your experience is what is most important, and that we’re not only building your home but we’re also building our community. Recognizing the importance of this is why we Give the most in everything that we do. It’s the reason we’ve woven uncompromising quality and outstanding integrity into each step of our clients experience and into each component of their home. 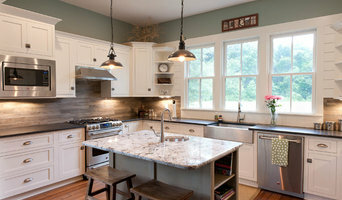 Charleston Home Builder & General Contractor Best of Houzz Winner! Damien Busillo, AIA, NCARB, is a registered Architect designing homes throughout the Lowcountry and Barrier Islands of South Carolina. Here you will find unique residences that have been specifically designed for each client's needs, desires, and budget. You will see Contemporary designs that are also sensitive to Traditional styles. I have over a decade of experience designing high-end custom residential homes on Kiawah Island, Daniel Island, Mt. Pleasant, Charleston, Beaufort, and a variety of other Coastal locations across the Low Country of South Carolina. Designing homes is a passion of mine and I believe that as our lives evolve, so should our domestic spaces. I am constantly reminded that home design is a testing ground, in which there is always room for changing , tinkering, and experimentation. Please take your time to look around and email with any questions. As a member of the AIA and the Building Enclosure Council I will utilize the latest methods and techniques in building science when designing your new dream home. From the southeast coast to mountains in the Carolinas, our mission is to create beautiful spaces that meet your aesthetic, functional, and economic goals. While we strive to meet each of these, we know that client satisfaction is our most important measure of success. Listening to you, working with you, and designing for you is what we do best. Jamison Howard is a custom builder in Charleston, SC. His company Max Crosby Construction as been exceeding clients expectations for 40 years. Jamison was selected by Charleston Home and Design Magazine as one of Charleston's Most Influential Builders in 2009. 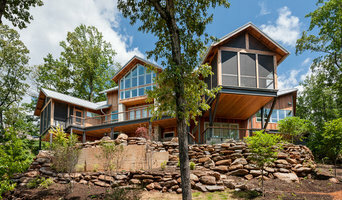 Jamison has also been a Member of Southern Living Magazines, Custom Builder Program since 1994. Nautilus Company provides Charleston, South Carolina residents with custom home building services as well as home management and preventative maintenance programs. Nautilus Company's custom homes combine years of experience in construction management with innovative building practices and cutting-edge technologies. We provide new home construction and custom home renovation services that are second to none. We enjoy working closely with accomplished architects and designers to construct first-class homes and to maintain those homes for years and generations to come. Nautilus Company’s home management service preserves your home's value and reduces headaches commonly associated with home maintenance. Nautilus aims to provide peace of mind that your home is in good hands while simplifying your lifestyle and maintaining the investment of your home. Harper Construction Inc. is a Full Service Construction Company serving the Charleston area. Located in historic Charleston, South Carolina, Harper Construction specializes in high-end custom new builds and remodels in the luxurious Seabrook and Kiawah Islands. In February 2009 Chris Harper left his job as foreman of a local construction company to start his own company, bringing over fifteen years of residential and commercial building experience to Harper Construction. The company quickly grew as Harper Construction’s reputation for quality custom construction, attention to detail, and strong customer service skills spread throughout the Charleston area. Over the years, Chris and his company have developed relationships with local purveyors and craftsmen who provide high-quality services and materials for projects both large and small. Harper Construction has been featured in Charleston Magazine and Charleston Style & Design. His projects have been featured in style and design publications both local and national. Kiawah and Seabrook Top General Contractor 5X Best of Houzz Winner! At Sceltas, we create and reinvent homes inspired by the people that will live in them. Whether it’s renovating a full home, remodeling a small space or building a custom home from start to finish, we make the process seamless and enjoyable. Using innovative technology, we communicate on a real-time basis, giving you insights throughout the construction process. Our three core values are cost, control + knowledge. Simply put, we empower our customers with the knowledge necessary to make the right decisions throughout the construction process. This transfer of knowledge allows our owners to control a pivotal aspect of the project, achieving their goals within the cost constraints of their budget. Take some time to learn about our qualified team, mission, process and partners. Then, hear what our clients have to say about our services and let the project galleries speak for themselves. Source Consulting is a U.S.-based global sourcing and logistics services company providing consolidated services to builders and developers across the globe. We are the go-to experts for sourcing and timely delivery of hard-to-get products from and to remote and far-flung areas around the world, including the Caribbean and Central and South America. Our extensive network of vendors and suppliers provides us with an experienced, full-service team of logistics professionals who manage and ensure product delivery to destinations across the globe. As a full-service vendor, we: + Source and purchase products + Plan and consolidate cargo + Create all customs documentation + Deliver and ship products We supply products for all stages of both vertical and horizontal development of homes, resorts, commercial storefronts and casinos. From heavy construction equipment to hard-to-find, exotic lumber and other specialty items, we deliver specialty products in a timely, cost-effective manner. Headquartered in Charleston, South Carolina, we have warehouses strategically located around the United States, including Miami, Jacksonville, Charleston, New York, Philadelphia and Houston. Founded by CEO and president Chris Findlay, Source Consulting offers a track record of reliability, quality, performance and service that developers worldwide have come to rely on.